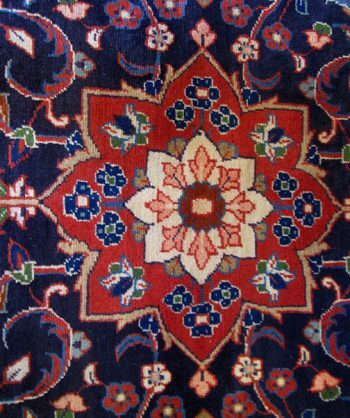 On this rug the blue color on the border is faded on ONE edge/end near fringe due to excessive exposure to sunlight in that one area. 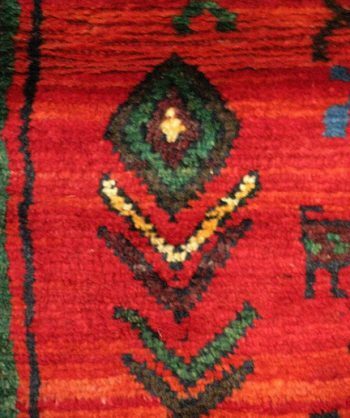 This rug is Semi-Antique and used. 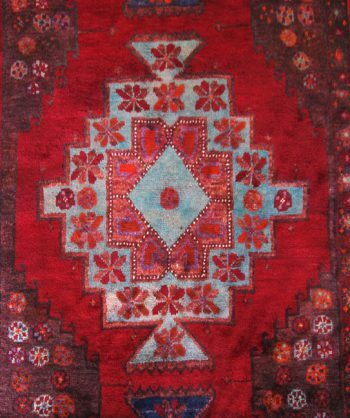 To get the same effect of fading on other side of rug place that side in an area that recieves more direct sunlight than other areas of the rug. 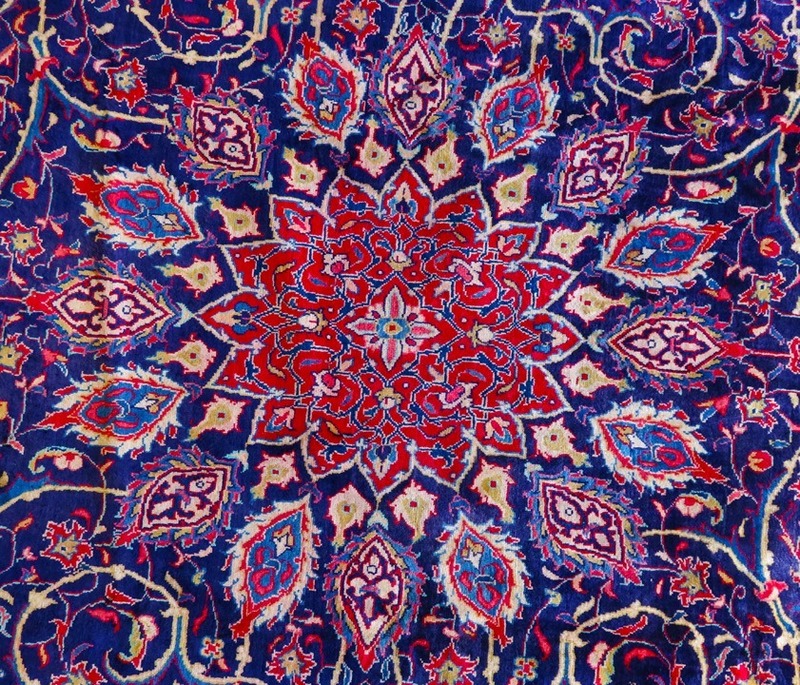 Over time this will fade the blue dye in the same way. 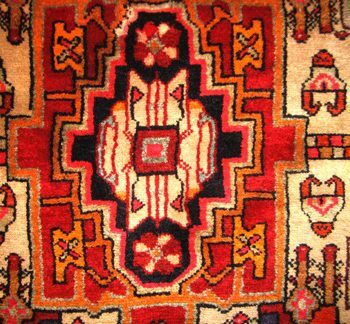 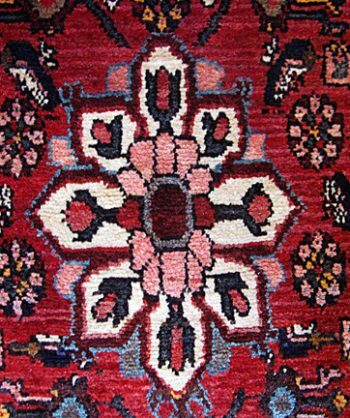 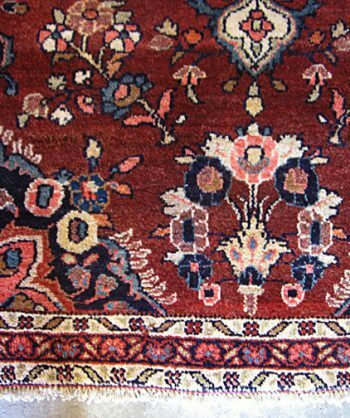 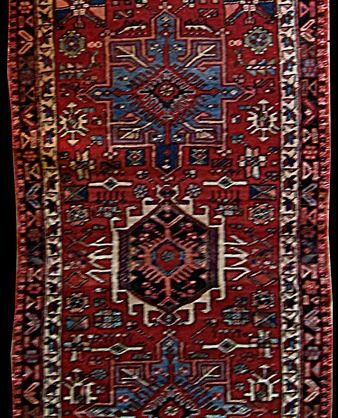 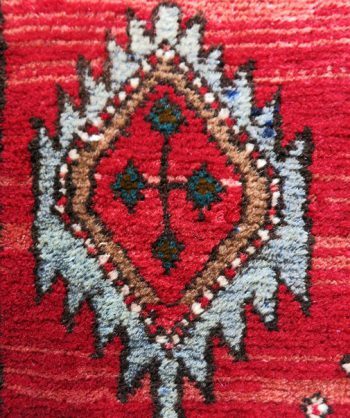 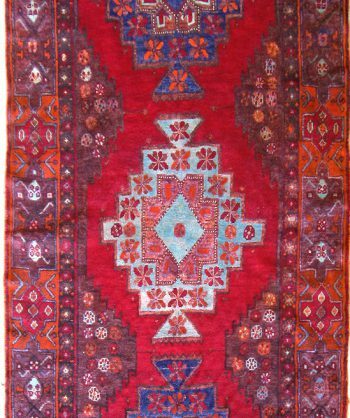 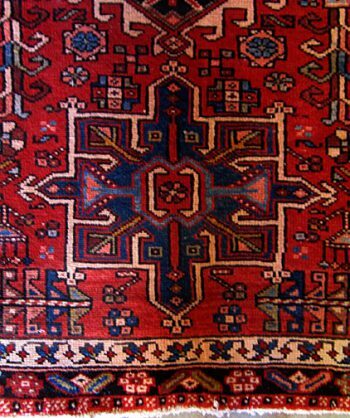 To avoid this effect happening to your newer non-synthetic, handknotted, woolen, vegatable dyed persian or oriental rugs you must rotate them periodicaly to allow direct sunlight to evenly effect each area of the rug. 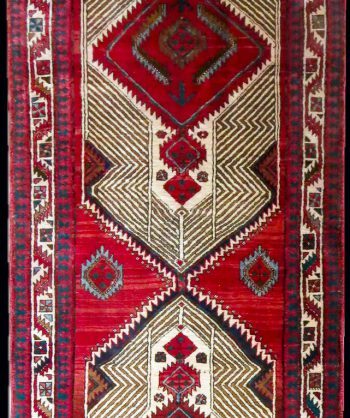 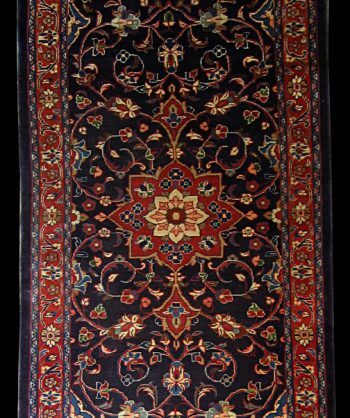 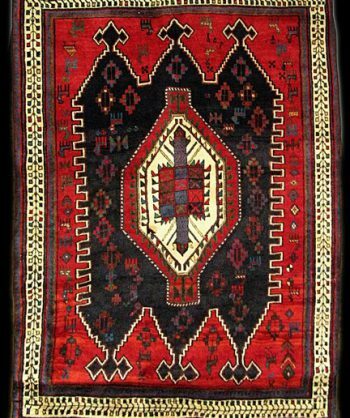 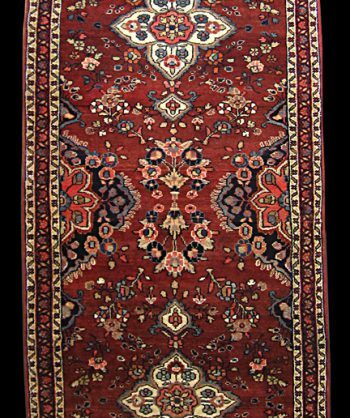 Please call if you have any further questions about the condition of this rug or about the effects of direct sunlight on authentic persian carpets.